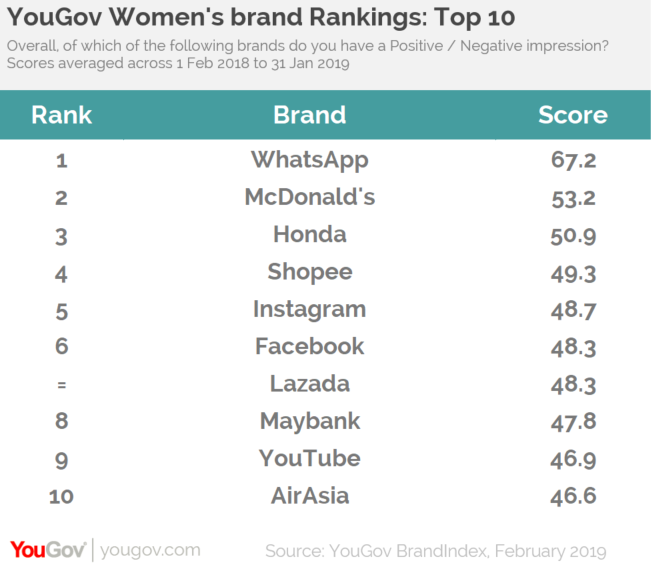 Maybank and AirAsia have been ranked among the top 10 most loved brands by Malaysian women over the past year in YouGov’s latest brand rankings. Coming in eighth and tenth respectively, both brands received a score of 47.8 out of 100 and 46.6 respectively. Other Asian brands that made the listing are Honda (50.9), Shopee (49.3) and Lazada (48.3). Meanwhile, WhatsApp has once again come out on top with a score of 67.2. Also making the list are McDonald’s (53.2), Instagram (48.7) and Facebook (48.3). Meanwhile, Perodua and PROTON also saw an increase in impression among Malaysian women over the past year. Perodua’s brand score increased by 8.6, while PROTON’s increased by 8.3. Shopee, on the other hand, clinched the most improved spot, with a score increase of 30.4, followed by Huawei (12.6) and McDonald’s (11.3). 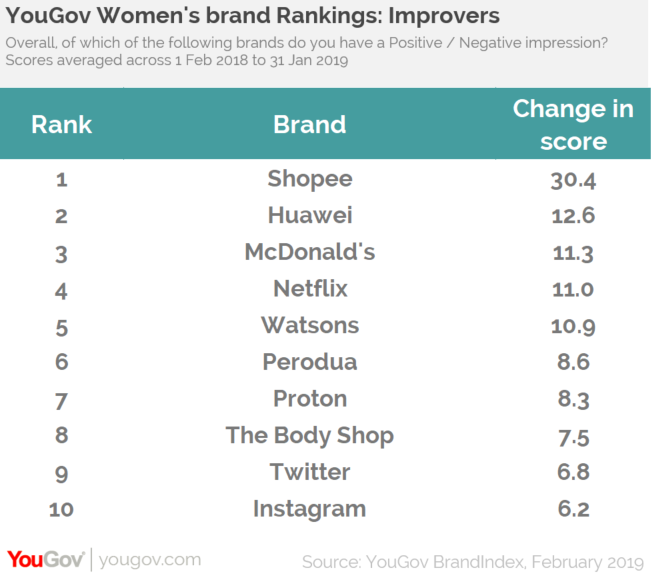 According to YouGov APAC’s head of data products, Ervin Ha, digital brands dominate this year’s women’s brand rankings, with Shopee being the most notable story list. 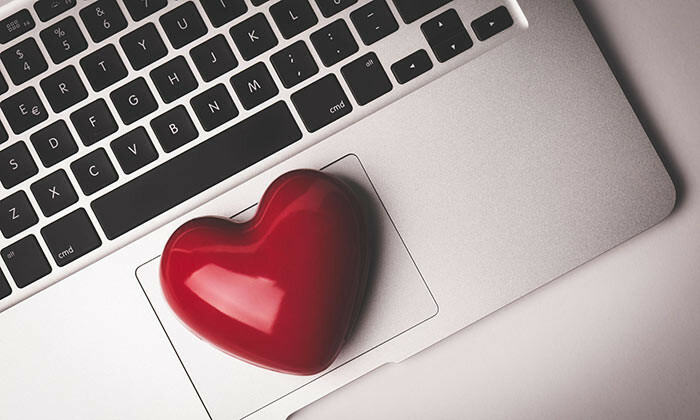 “It is difficult to leave a positive impression on consumers. Yet, in spite of this and an ever-growing competitive eCommerce landscape, Shopee has not only managed to make it into the top five brands, but is heads our greatest improvers list – and by some distance,” Ha added. Local integrated CRM/loyalty-led communications agency On-Target Marketing Solutions offers another option for digital loyalty mar..
Smart Targeting leverages different sources of StarHub's big data capabilities. More here. ..